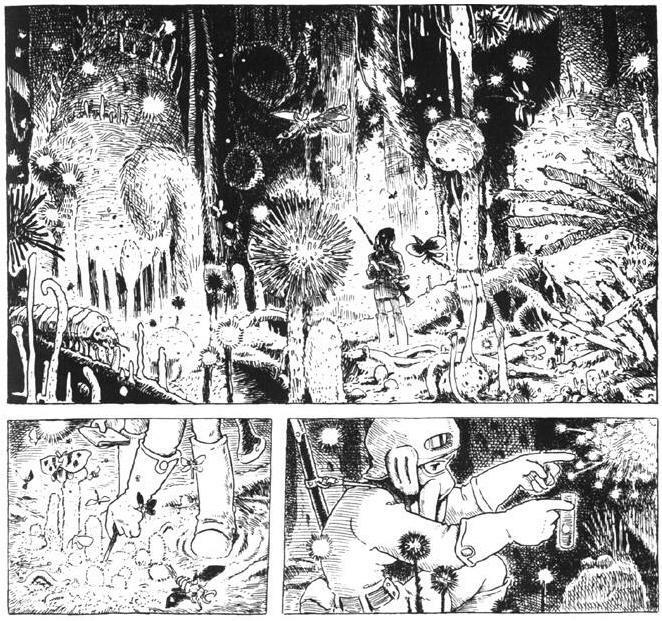 The overlap between the manga and anime industries in Japan is an interesting thing to consider for how relatively rare it is in the way that comics and animation are produced worldwide. Japan obviously isn’t the only country in the world where both mediums thrive, but in a sense it’s the only one where they do so side by side, and where talent can cross between the two rather freely. In the United States you’ve got plenty of world-famous animation studios, comic-book presses and daily cartoonist syndicates, but these things are all pretty much separated by the distance of an entire continent– Disney in California, and Marvel, DC, hell even Mad Magazine based over in New York. In Europe, while there’s still room for art-conscious cartoons and animated films here and there, you don’t have quite the same kind of deeply rooted industry for it in the same way that lets illustrators like Herge or Moebius become household names. Hell, even Canada’s got the occasional big-name in terms of comics with guys like Dave Sim or Bryan Lee O’Malley, but I doubt you’re about to see them or others follow the path of Norman McClaren anytime soon. Well, that wasn’t long, was it? Just as this review, that may feel a bit short to some, but it has a reason to be that way. Anyway, I feel like I have to repay you after all this time of inactivity, after all I made a promise and I have to honour it, as I said last time. While I know that this is time for celebration and recounts, lists and retrospectives, oportunities for festivals, awards and many other things, specially for those art or just entertainment look-forwarders (I just invented that word, I’m sorry), but here is summer, and for me summer has always had one meaning for me: lots and lots of reading. Lots of dead time to read volumes and pages of infinite books from different authors from all over the world. I mean, I just started myself in the past month, I finished three novels, including this and the earlier reviewed Vargas Llosa novel, and then there was ‘The Tunnel’ by Ernesto Sábato, an argentinian writer who died this year, shy of turning a 100 years old. And then there’s my favorite part of summer: Stephen King. I think he’s a marvelous storyteller and every summer I turn out one or two of his novels, and this year it seems it’ll be 3, because I’m already finishing ‘Bag of Bones’, that just recently had a TV incarnation that I wanted to see, so I needed to finish the novel first. But what am I talking about S. King when we shall be talking about a Nobel Prize Winner… well let me roll my eyes, oh you snarky little lumpy princess, I am saying this and saying it now: I prefer King to Llosa. 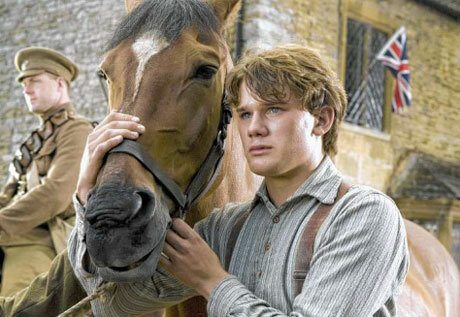 Steven Spielberg's deeply emotional 'War Horse' based on novel and Broadway play is one of the best films of 2011. I was awakened at around 2:30 P.M. on Sunday morning by a loud crashing sound on the roof of my home. I immediately realized that our expected visitors had arrived with several sacks of gifts and goodies for the sleeping children. I opened the front door and offered the bearded fellow with the red and white suit some steaming hot cocoa and freshly-baked chocolate chip cookies. The spritely fellow was the coolest St. Nick I’ve ever met, as he offered up a new blu-ray of Bad Santa and The Christmas That Almost Wasn’t. Still he admitted he was a lifelong fan of all the holiday staples, including Miracle on 34th Street, It’s A Wonderful Life and the 1951 A Christmas Carol, and had tens of thousands of copies to deliver before daybreak. So after a few words he was off again, leaving me to the horizontal position until the noise of opening gifts awakened me again after 9:00 A.M.
As Wonders in the Dark moves toward 2012, the present down period will almost definitely be replaced soon enough by upcoming John Ford and Stanley Kubrick retrospectives from The Long Voyage Home’s Peter Lenihan and WitD’s Dennis Polifroni, respectively. I am planning to post my Best Films of 2011 list a week from today, and am still undecided if I will be going with ten or twenty. We began avant-garde month by defying language – with silent films whose currency was visual, whose ideograms were images. Today we openly confront, pull apart, and reassemble language, on a kind of a cracked-looking-glass Sesame Street, numbers and words thrown in the air, land where they may, brought to you by the letter X – as in crossed-out, mysterious value, or X marks the spot. Today each avant-garde selection touches on a different base: documentary, animation, and narrative, all while remaining resolutely experimental. Two short entries are followed by a longer one (covering A Walk Through H, a fantastic film that seems to aptly round out all our themes). Bring your map, but don’t expect it to help any. Henri-Georges Clouzot as a Christmas fabulist? 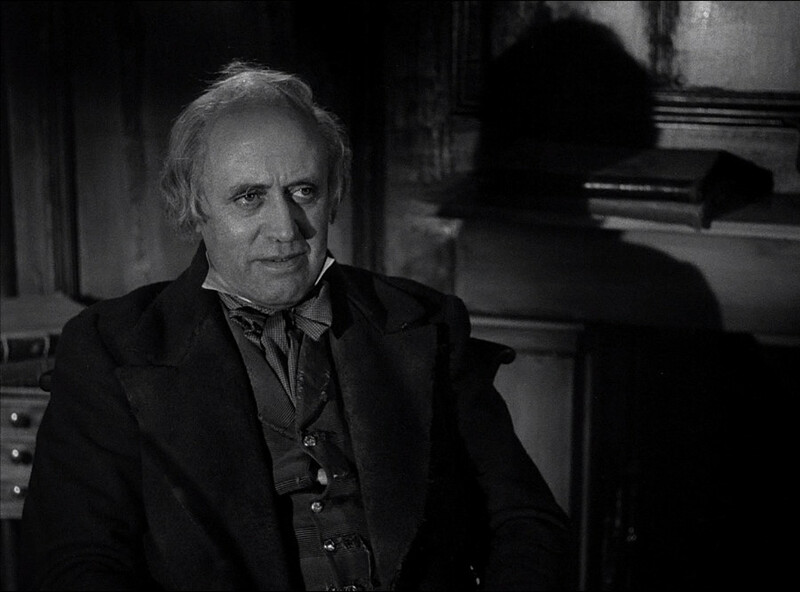 Well, his Quai des Orfèvres (1947) does race over a Christmas time-frame. But where is the “peace on earth, goodwill toward men”? At the end, the principals do stagger up to their living-room Christmas tree and a day of celebration. But, despite fulsome protestations of their love for each other, one of them is just a few hours past attempting suicide and the other has frequently and convincingly given her partner (her “flame”) to understand that she hates him. Surely that punishing scenario, as guided by a notoriously hard-boiled auteur, could never yield a cogent dispensation of love, to make the season bright? “History and legend link the story of our past. 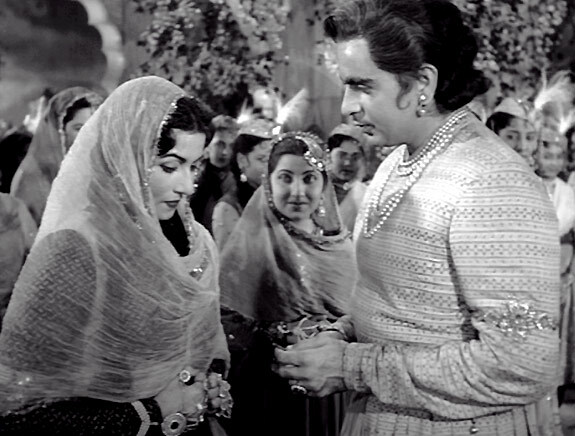 When both are fused in the crucible of art and imagination, the spirit of this great Lord is revealed in all its splendour and beauty.” So begins the film that has been, at one time or another, claimed as India’s biggest epic, the supreme Bollywood production and indeed India’s most beloved film. Seek it out on DVD now, however, and a quandary is presented. Virtually all prints are now of a 2004 colourised version of the film.